Complete wheel set, one drive wheel, three non drive wheels, with bearings, four Kenda Street Slicks mounted with innertubes. Complete wheel set, one drive wheel, three non drive wheels, with bearings, four Kenda Street Slicks mounted with inner-tubes. 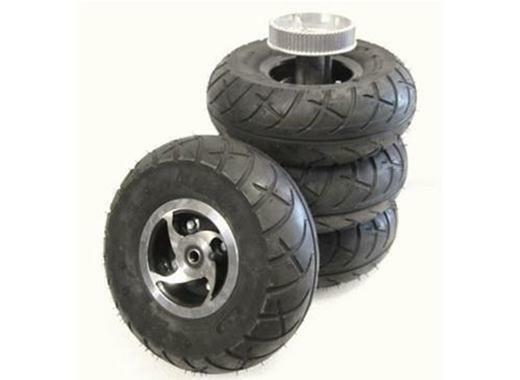 Complete wheel set, one drive wheel, three non drive wheels, with bearings, four Kenda Street Slicks mounted with innertubes, as used on E-Glide A/T's.